The 4 x 4" Color Graduated Coral 1/2 Filter from Formatt is one of the most widely used category of filters. It enhances reality, adding a touch of subtlety or drama to the image. 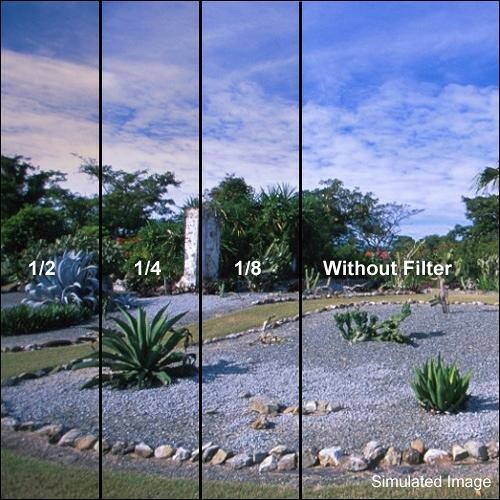 A 1/2 Graduated Coral filter takes another step towards warming up your image. Open shade loses more of its bluish cast. Skies move towards yellowish/orange.